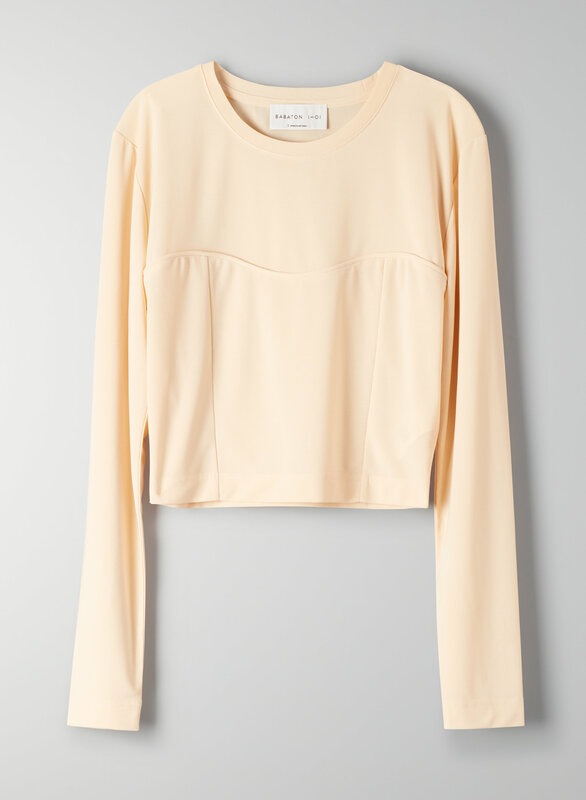 A long-sleeve bustier. It's really happening. This is a slightly cropped bodycon tee with bustier-style lines. It's made from a matte, stretchy fabric.